I believe every small group core team member, leader, coach, and ministry leader should read this book. 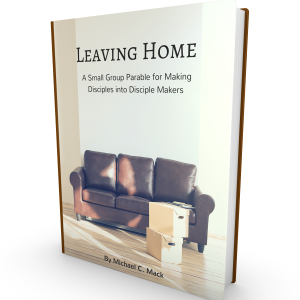 While it’s technically not a “small group” book, it is vital for your ministry. The truth is, a leader with a disordered heart will not be able to minister effectively. But when you begin to order your private world, you will begin to overflow out of a well-nourished heart. Is there a genuine inner life, a private inner world that each of us possesses? The Scriptures, the experiences of the great saints, and the writings of more contemporary sages say there is – and that inner life can be ordered and regulated. Out of that order, says the writer of Proverbs, flow the energies of life. But in a society with external priorities of acquisition, leisure, and advancement, most people are not in touch with their inner spirits and so lead lives that are shallow, driven, tired, and frustrated. Ordering Your Private World explains the inner life in practical ways, helping us reappraise our frantic life-styles and bring order and peace to the chaos of our spirits. Where people live with disorder within, there is anxiety and little growth. But where the private world is constantly realigned and regulated, there is remarkable personal development and Christian witness. I included this this book on a list with the best resources for coaches. Why? Because I gave one to each of my coaches. I considered this a big investment in these vital people in our small group ministry. This book was life-changing for me and I knew it could be the same for them. Truth is, if the private worlds of my coaches were disordered, I couldn’t expect much from them in coaching our leaders and groups. My prayer and plan was that upon reading this book, my coaches would begin to naturally overflow God’s wisdom and power out of a well-ordered heart. I also used parts of this book in my one-on-one meetings with coaches. I also encourage every leader, whatever you lead, to read this book. It takes a well-ordered heart to be able to overflow, which is the secret of real spiritual leadership.